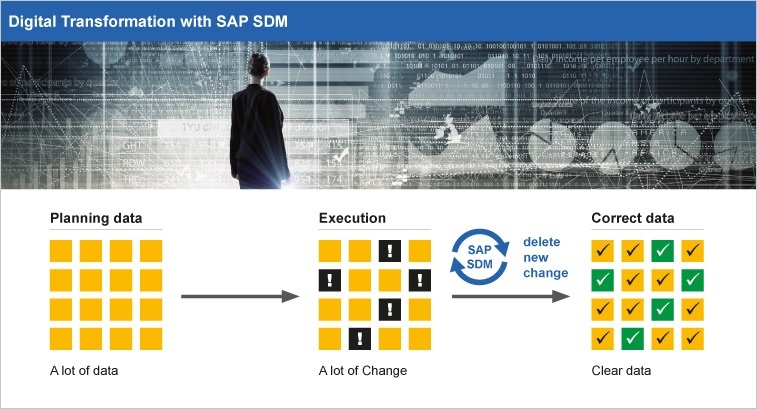 The SAP S/4HANA Oil & Gas for Secondary Distribution Management (SAP S/4HANA SDM) package provides functionalities to efficiently manage and automate the end-to-end order to cash processes. The integration of and the communication to transportation companies, own fleet, Terminals/Depots and Refineries is the main scope of the application. Based on the SAP industry Solution Oil and Gas the package provides additional functionalities like a Sales Logistics Cockpit for order placement, an easy to use graphical planning and disposition board for truck scheduling and logistics, and applications for delivery fulfillment. An interfacing toolbox and monitor ensure easy integration of external systems and partners. The Process Automation Tool reduces the manual activities and ensures a consistent integration from logistics to finance. The package is an industry-specific application, offering functional enhancements for commercial sales and secondary distribution of fuels, lubricants, and gas. It focuses on businesses in the oil and gas downstream industry of any size. SAP Secondary Distribution Management for Oil & Gas (SAP SDM) is available as S/4HANA or Business Suite version. Learn more about digital transformation with SAP S/4HANA Secondary Distribution Management for Oil & Gas! We would be delighted to answer your questions about SAP S/4HANA SDM and its innovative functionalities.